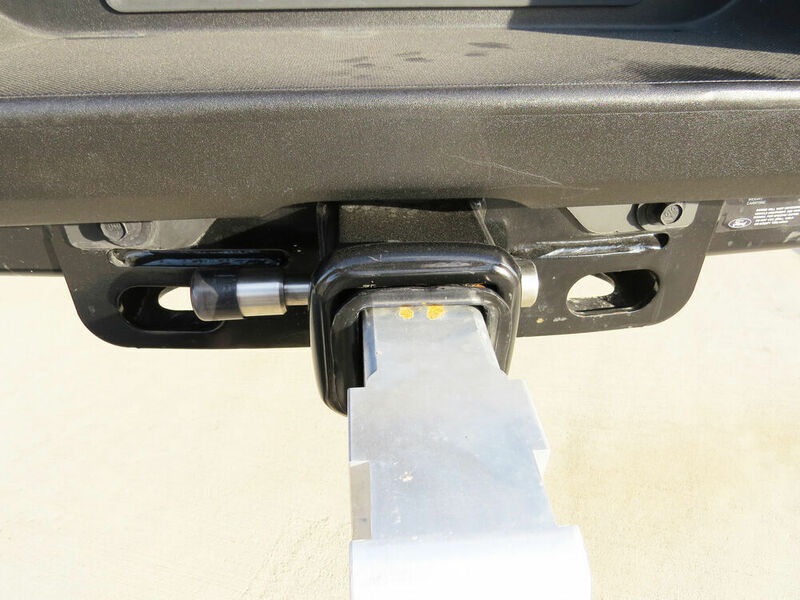 This solid, high-strength steel, flush-style hitch lock lets you secure your ball mount, bike rack, cargo carrier or other accessory to your trailer hitch receiver 2-1/2" and larger. 5/8" Pin diameter. 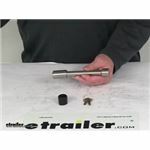 Call 800-298-8924 to order Bulldog hitch locks part number BD580412 or order online at etrailer.com. Free expert support on all Bulldog products. Guaranteed Lowest Price and Fastest Shipping for Bulldog Hitch Receiver Lock - Extra Long - Flush Design. Hitch Locks reviews from real customers. 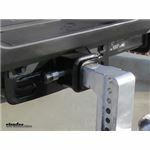 Order: RelevanceNewestRating - High to LowRating - Low to High This solid, high-strength steel, flush-style hitch lock lets you secure your ball mount, bike rack, cargo carrier or other accessory to your trailer hitch receiver 2-1/2" and larger. 5/8" Pin diameter. For lubricating any lock, a dry lubricant like powdered graphite is recommended. Using grease and oil or spray lubricants like WD 40 can actually attract dirt and grime and make the lock cylinder sticky after time. 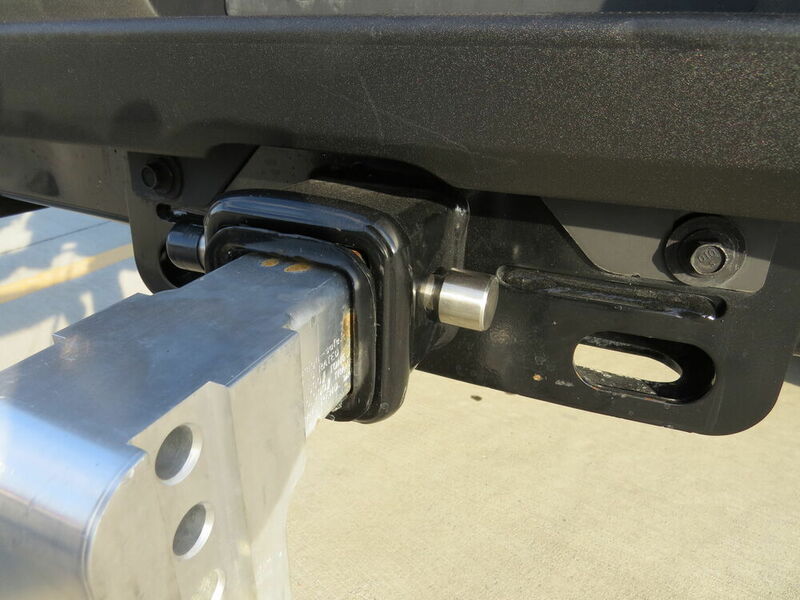 You most likely have a Gen-Y hitch that is compatible with a 2" receiver like part # 325-GH-516. 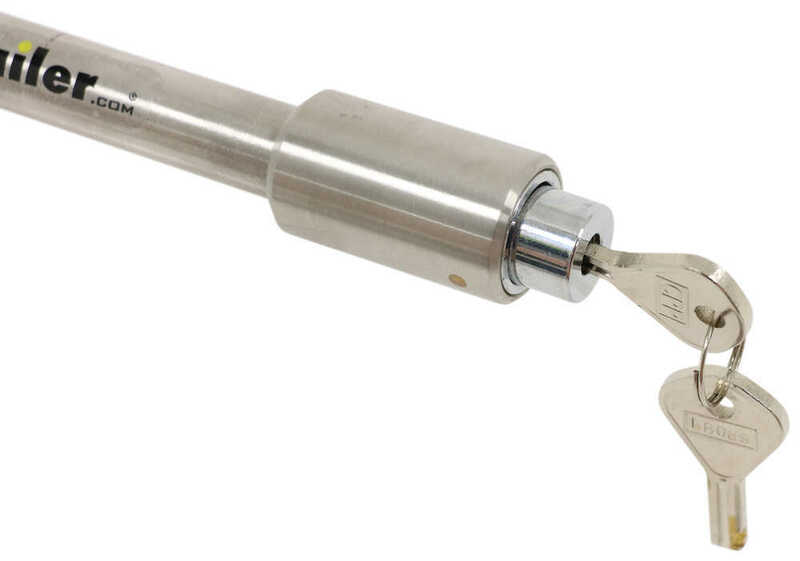 This means that you would need to use the Gen-Y Hitch Pin # 325-GH-096 which is comparable to the locking hitch pin # WS05. If you happen to be using a Gen-Y hitch that fits a 2-1/2" receiver, like part # 325-GH-624, then the Gen-Y Hitch Pin # 325-GH-099 that comes with it is comparable to the locking hitch pin # BD580412. Hitch pins and hitch pin locks like the part # 40107 that you referenced don't actually bear any weight when used with a ball mount so they don't have weight capacities. 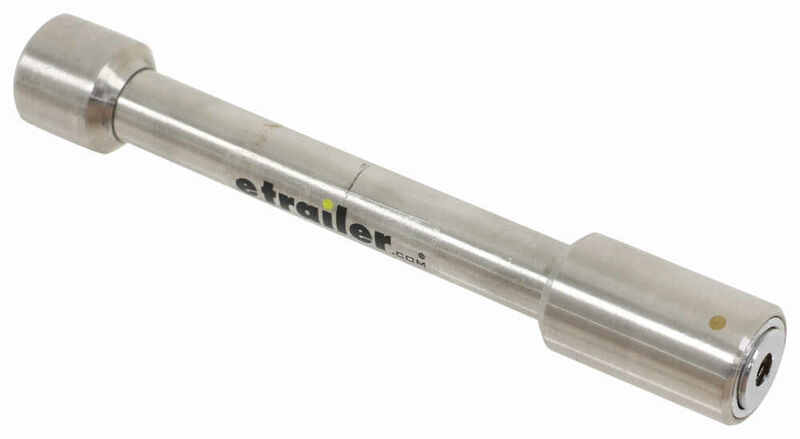 The downward force of the tongue weight of the trailer is so great that the ball mount is pinned into the hitch so hard that none of the weight is put on the hitch pin. 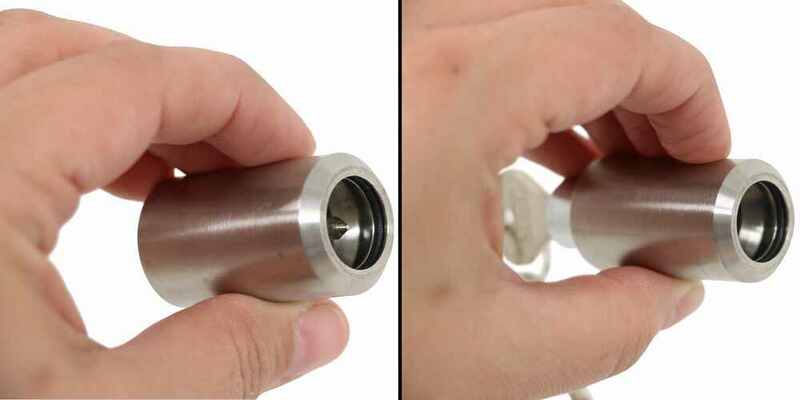 This pin lock will work great with your 3 inch hitch on your Ford truck. The Bulldog Hitch Receiver Lock - Extra Long - Flush Design for 2-1/2" Trailer Hitches # BD580412 should work for this application. 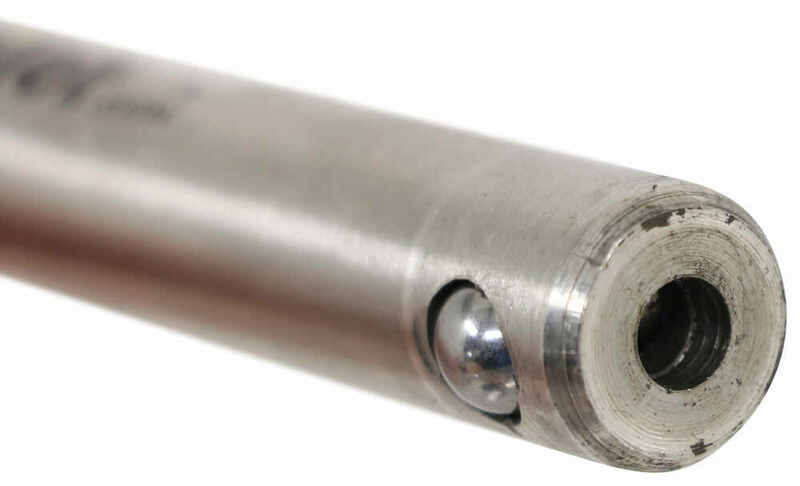 The usable pin length is 4 inches and that is the outer diameter dimension of the BullDog Gooseneck # BD1289020300 outer tube diameter. 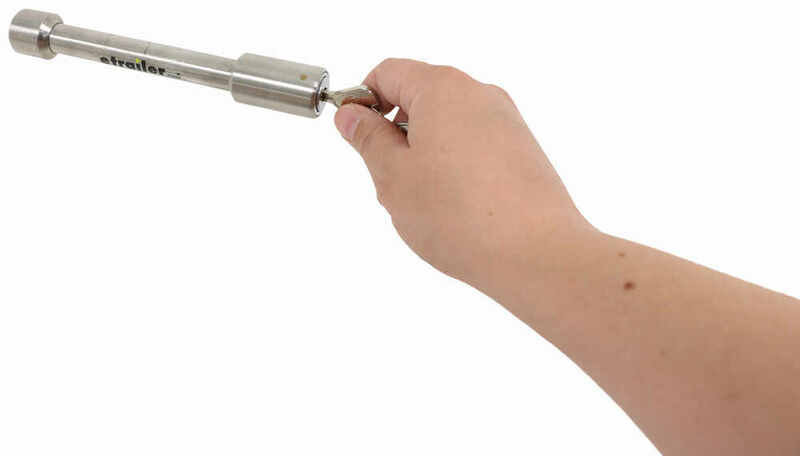 The Bulldog Hitch Receiver Lock # BD580412 that you referenced has a usable span of 4 inches. If you measure the outside width of your hitch and it's less than 4 inches this will fit and work well. The Bulldog Hitch Receiver Lock # BD580412 that you referenced is a little short for the adjustable part of the B&W Tow & Stow 2-Ball Mount # BWTS20037B but we do have something that will work instead. 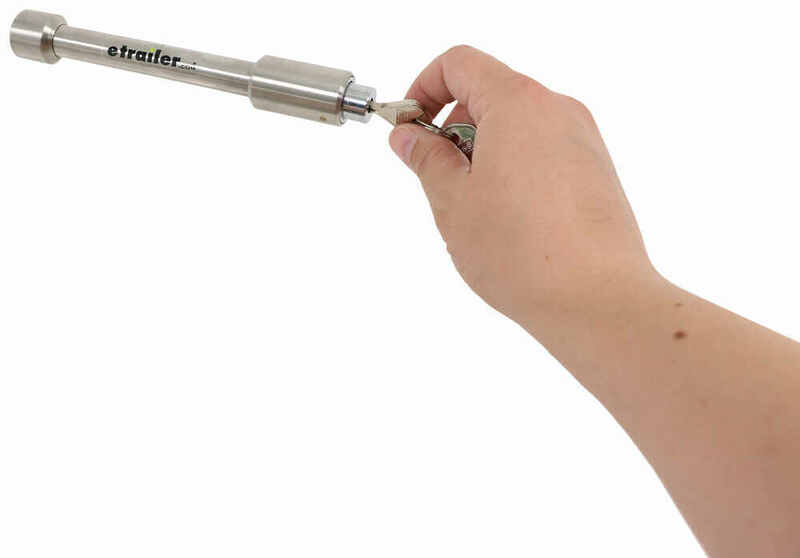 The InfiniteRule Security Trailer Hitch Lock # 34065036 measures just long enough to fit the Tow & Stow plus you can order 3 of them keyed alike. Just be sure to select that option upon ordering and you can use one key for all 3 locks! The pin length on BOLT lock # BL7023585 won't be long enough for a 3 inch trailer hitch. Right now they do not make one that will be long enough but who knows what the future holds. 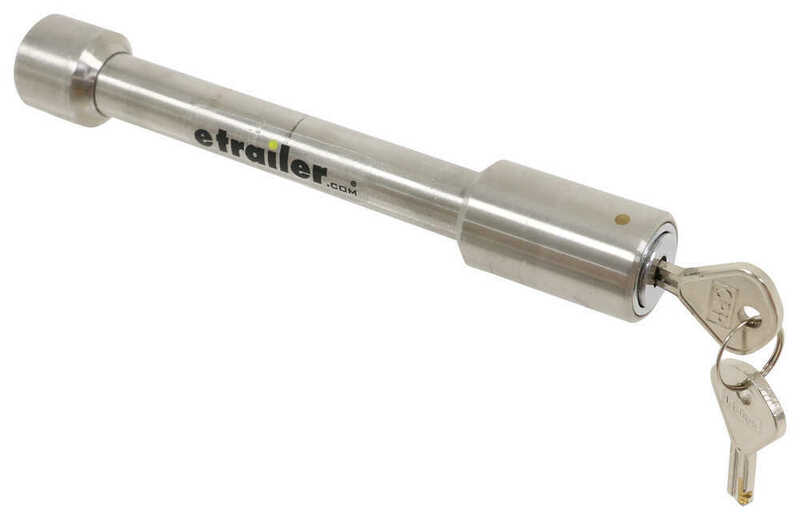 If the 3 inch hitches take off in popularity then we might see some accessories like BOLT locks made for them. Yes, you can order replacement/additional keys for the Bulldog Hitch Receiver Lock part # BD580412 with the Replacement Key part # CKEY-FS. Once you arrive at the product page you will need to enter the number on your key into the "Key Number" box on the product page and then you can select the quantity. I also highly recommend that you write your key number down somewhere that way you can always order more replacement keys if the originals are misplaced. 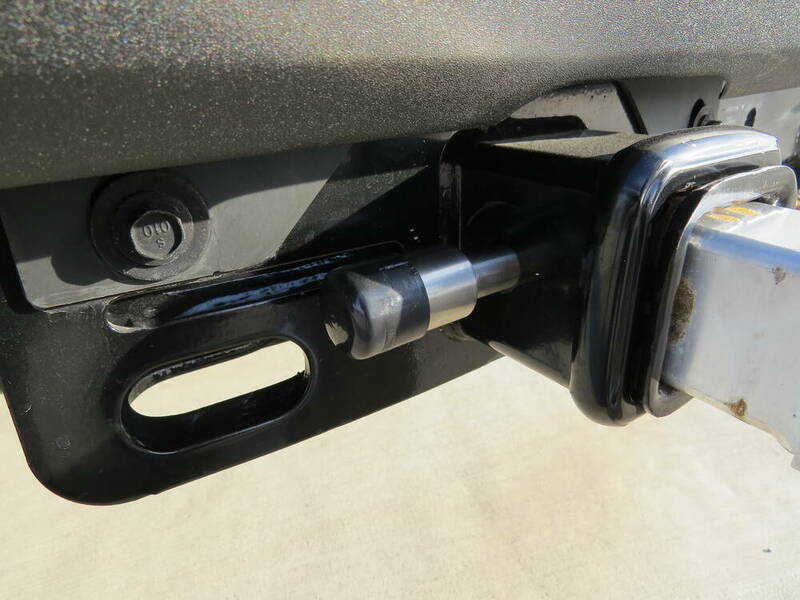 The Gen-Y Adjustable 2-Ball Mount w/ Stacked Receivers for 3" Hitch - 6" Drop/Rise - 32K # 325-GH-1723 is a great option for your 2019 Ford F-250 with 3 inch receiver. This ball mount will use 2-1/2 inch receivers, so the InfiniteRule Security Trailer Hitch Lock # 34065035 will work as would the Bulldog Hitch Receiver Lock # BD580412, or the Weigh Safe Hitch Receiver Lock # WS05.